Thu., Aug. 23, 2018, 1:53 p.m.
NORMAN, Okla. – Marquise “Hollywood” Brown showed up to Oklahoma with an exceptional gift that he relied on a bit too much. Brown was used to blowing by people with his speed, so he kept doing it. 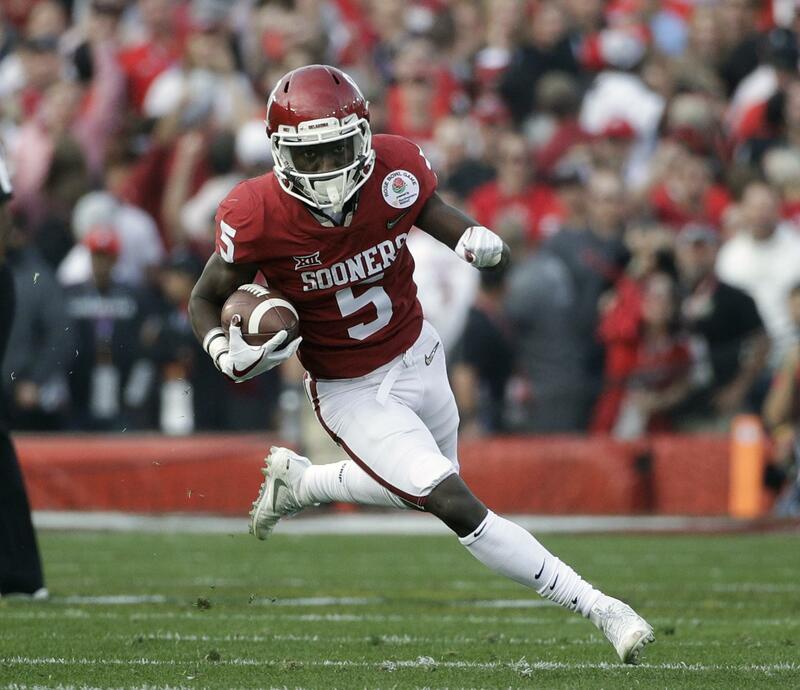 The junior college transfer finished with 1,095 yards receiving last season in his first year with the Sooners – the eighth-highest yardage total in school history. Brown didn’t play against Ohio State last season and had just 18 catches the first six games before becoming the man announcer Gus Johnson calls “Hollywood” – a nod to Brown’s Florida hometown and his eye-catching play. Published: Aug. 23, 2018, 1:53 p.m.